The characterisation is perfect with a strong female lead. Though Marie-Antoinette's character is childish, she isn't a cookie-cutter clich&eacute;. Each personality is different and doesn't fall into the anime stereotypes. With experiences, characters grow and develop; it isn't hard to grasp the cast's characters. Lady Oscar is a strong female raised a man, but she has femininity in her: she's a balance in character. The sound and animation is from the 1970s so those who aren't into the retro look may not like the series. However, the storyline is main aspect for the show. The costumes with their many frills are pleasant to the eye, while the character design is between realistic and exaggerated. (But, more on the realistic side. In other words: shojo.) Cosplaying as a Lady Oscar characters isn't something one should be surprise since the clothing is from the 18th century. The sound quality isn't great because of the time period, but the sound effects aren't terrible. The background music uses strings, but there isn't a lot. Those who are into classic shojo would love this anime. Some younger viewers may find this anime a little boring, but for those who are in love with historical fiction must watch this anime. It was released in most languages besides English, which is why it's obscure. Must be on every anime fans 'to watch' or 'to buy' list. I finished Versailles No Bara. I am perplexed by this late experience of mine and I’m angry at myself, angry because I could have watched this one sooner, after all, I have it on my “plan to watch list” since the time Live-Evil were still subbing it, that makes it 4 or 5 years, a lot of time. Why haven’t I watched this title sooner? Oh well, better late than never. At the beginning I was feeling a little hesitant to start watching Versailles No Bara/Rose Of Versailles because I kept hearing people comparing it to Revolutionary Girl Utena. I didn’t dislike Utena, but I think it is a totally overrated anime with some serious lack of story development added with a very weak lead character. Thankfully, the only similarities with both titles are the styles and visuals that Utena went to get inspiration from, the rest and most important stuff like the characters personalities and the plot, are beyond comparison, so you should rest assured there if you got a similar point of view as mine regarding Utena. The first thing that naturally you notice when You start watching Rose Of Versailles, is the marvellous character design done by Shingo Araki, the man did a lot of character designs on the seventies for some famous titles but here he was in his best shape and developed his trademark style, which he later also used on Saint Seiya. Not only the character designs but the style and the peculiar 70s filled directing approach are very appealing and are added with a consistent and clever animation for ’79, and dare I say that some scenes are so well animated with the character movements that they even defy the commodity of modern animation from these days. Some examples being shown on the dances of the characters at some parties and in some crowd scenes where most of the individuals (if not all) of the crowd make independent moves of their own. Unfortunately Nagahama Tadao died early and with him died some of the “acid” aesthetics of the series, because the acclaimed 70’s director Osamu Dezaki which came as substitute didn’t pick those “acid” scenes but he also fulfilled his duty with excellence. I especially love how the shots of the camera are taken from various angles throughout the series. The story couldn’t have been better, it picked up historical facts prior the French Revolution and went along history to the beginning of the revolution covering a span of 20 years. It started using the shoujo formula of “newcomer female arrives and gets picked by older already established female at the place”, but it goes beyond its shoujo standards, not only because of the historical facts that the story cleverly went to use but also by the excellent characters that it had and their no lesser excellent character developments. The author had a good use on the critic of the society of the 17th century, especially the aristocracy problem. Having watched Legend of Galactic Heroes prior to ROV, and ROV being older than LOGH, I get amazed at how the aristocratic situations and characters could have been the same on both anime, of course discarding the sci-fi universe of LOGH on this. Perhaps dare I say, that LOGH, author or director went to get direct inspiration from the clever aristocratic issues of ROV to display on LOGH.. The music is perfect for the anime, it was competent and good. I’m hearing the OST as I write and it does have very powerful songs. I especially loved the 70s tunes that it had which only the 70s could create. Of course the classical ones were also very good, some helped greatly on setting the mood of some special scenes and when that happens it is because the OST is good. I am still impressed at the quality of this anime, and the only thought around in my head these days is to rewatch it again. “Classic” is a word only fitted to some works, Rose Of Versailles is perfectly fit for it and I even go ahead and say it isn’t only “classic” but “cult” as well. No wonder it is still big back at Nippon. These type of stories are immortal. I ended giving it a 10. I don’t give away 10s so easily as you can see by my list, and I wasn’t hoping to find another series so late at these times that I could give a 10. But RoV pushed me to a corner. Wow, what a story. I can't believe I haven't watched this anime until now. No, I can't believe what I just watched. I'd always thought that the forbidden love romance between Romeo and Juliet was tragic... I'd always thought that Shingeki no Kyojin was epic. I'd always thought that stories like Clannad and AnoHana were masterpieces. But wow, Rose of Versailles puts all of these shows to shame. Who knew that an anime, which some people (idiots) call "cartoons", could portray such a realistic, romantic, tragic, and captivating historical story about the events leading up to the french revolution - 1700s. Rose of Versailles is truly a hidden gem that deserves more recognition. My favorite anime of all time. The setting is in France, before and during the French Revolution. The story is about Oscar François de Jarjeyes (Lady Oscar) who is the youngest daughter of the Royal Guards Commander, General Jarjayes, is raised as a boy because General Jarjayes had desperately wanted a son that could take after him as the Royal Guards Commander. Growing up inside the lavish palace, Lady Oscar had no knowledge of the travesties and poverty of the outside world. The greed of the nobles, the evil of the soldiers, the corruption of the government, the patriarchy in society, the social hierarchy, and the hatred in the hearts of the people. All of these were factors that were developed and masterfully portrayed in the anime that eventually led to the French Revolution. The story not only focuses on the French Revolution though. Lady Oscar's decisions between her chosen life of service and duty to class and country versus her own heart and desires are all aspects of the anime that portray the harshness of reality during the 18th century. The story honestly starts off cheesy and seemingly childish at first. But put up with maybe the first 2 - 3 episodes, and after the magical plot and character development kicks in, the story soars into the realm of perfection. The plot is lively and happy during one moment, and then turns into darkness and sorrow the next. The plot is highly enjoyable but can definitely mentally destroy you if you develop feelings/attachment to the characters (which the anime will force you to do). 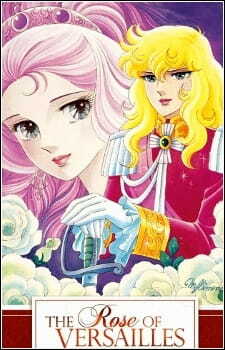 This anime had my favorite characters ever in Lady Oscar and Andre Grandier. Lady Oscar is a strong and smart women, you don't see that often in literature, especially classic ones. Andre Grandier is the pure definition of an archetypal character whom fights to protect his ideals and those that he cherishes (the people of France and Lady Oscar). Their love story is more tragic than Romeo and Juliet. The hardships they have to go through together is tougher and more touching than anything I've ever seen. The concept of forbidden love, and Male Vs Female patriarchy is constantly brought up. Marie Antoinette, the Princess soon-to-be Queen of Versailles is in love with Lady Oscar's best friend, Hans Axel von Fersen but a princess marrying a nobody is forbidden. Can they break through the rules of reality or will they end up as yet another pair of tragic lovers that cannot overcome the social hierarchy and harshness of reality? Will the brewing French Revolution devastate all relationships between Hans, Marie, Andre, and Lady Oscar? Absolutely stunning how perfectly the anime handled the character development and attachment. I'll spoil this for you now, the end will DESTROY like it did for me. Did I even watch the 1979 Rose of Versailles, or was it a more modern remake that I watched...? How can an anime from 1979 have so much color and be so realistically beautiful. Was colored television even invented in 1979...? The poor with their torn cloth/nakedness - skinny. The rich nobles being the fat-stuffed monsters that they mostly were back in the 18th century. The nobles and royal families with their lavish and beautiful medieval clothing. The guards and their uniforms, muskets, and drums. Holy moly, the art was so perfect that... I don't even know! The sound, ah yes the music. Well, what can I say... It was dazzling. The beating of the drums, the heart-warming/breaking classical pieces, the french music; amazing. The character's voices, loved them. Lady Oscar and Andre, I love you guys. Although, I will admit that I wasn't a big fan of the opening, BUT the German "Lady Oscar" opening remake (2009) was a perfect fit the anime and is one of the most beautiful songs ever (yes, it's in German). Rose of Versailles is unparalleled in terms of how beautiful, realistic and touching the story was. How much did I enjoy it? Well, what do you think? The anime scores perfect for me all across the board. A rare masterpiece that actually has moralistic themes about reality that people can perceive in their own beliefs. I hear that Rose of Versailles is currently 14th on the list of all-time best-selling shōjo manga, having sold a grand total of 15 million volumes worldwide. So, I guess it's not "underrated" but definitely needs even more recognition. It’s the eve of the 18th century and France is flailing between hubris and chaos. The air is stale in Paris; an odious despair engulfs the streets as the common man struggles to eat. The color of the Seine slowly begins to fade. Yet, the scarlet-stained roses of Versailles continue to bloom with such fervor, such elegance, and such nobility. Surrounded by decadence in its purest form, these roses thrive; unaffected and ignorant of the tumultuous tempest that brews, seeping insidiously into the soils of the earth. One rose, the noblest of them all, with a chivalrous conviction breaks off - known better in the evocative masterpiece by Dezaki as Oscar Francois, or the real “Rose of Versailles”. With sun-kissed golden tresses, a pellucid conviction, and a regal dominance, Oscar from the get-go is an enigmatically alluring character. Growing up as a noble, with a disillusioned father who fills her childhood with all the mannerisms of a noble boy, including her name, Oscar becomes the ideal French quixotic noble’man’. Rose of Versailles charts the life of Oscar as she moves along the history of France as a woman, as a noble, and as a French military leader right before and during the French Revolution. This series is not aiming to be a completely historically accurate re-telling of the events, so any expectations and qualms related to that are unjustified. Rose of Versailles falls under the genre of historical fiction and the latter should clearly indicate what that entails. That being said, it still does well keeping the fabrics of history intact and seamlessly weaving it into a beautiful tapestry featuring everything one can expect from a great story with all the right elements. Beneath the scintillating layer of the laid-out premise, the heart of Rose of Versailles offers something rare: complete enrapture. As one would imagine (and wouldn’t be wrong) to perhaps think of this as a story about the grand events of that time, the grandeur of it all, but it isn’t. Yes, all of these pieces are present, as nuances, or akin to the backdrop of a play, but the forefront is exclusively dominated by the characters and their affairs. The mercurial nature of each and every character beneath their facades is deeply explored, especially the duo of Oscar and her non-aristocratic childhood friend and worker, Andre Grandier. The social and personal evolution of the main cast is a feat in itself; especially when looked at in retrospect or holistically, due to their volatility and the debacles surrounding them throughout the show. As a result, we a get a cast of characters that are utterly human, hopelessly flawed, and undisputedly real who evoke and transpire an inexplicable sort of invested interest and feeling within. Essentially this story can be summed up as a mosaic of struggles; with each piece outlining a certain element and how Oscar in relation with those around her, tries to overcome the societal dualisms and the shortcomings of herself, her regime, and her time while battling a gradually building inferno. As aforementioned, the series is primarily focused on the characters, while using history as a conduit to do so, yet the manner in which the setting is actualized is commendable. The series does an exceptional job highlighting the mood of the time. The macro problems from various perspectives are shown, which sets the stage on a silver platter. The haughty aristocracy, the indulgent royalty, and the crestfallen public along with their unstable dynamics are shown slowly, carefully, and realistically making the denouement of the series all the more effective. Since the show does fall under historical fiction, the manner in which the events are reinvented is integral to how the other, more prevalent elements come together. One other aspect that Rose of Versailles effortlessly creates is the romance. The reason I explicitly bring this is up is because how understated ‘good’ romance is and by good, I mean believable, real, grounded, personal, evocative, and empathetic to the point that one can vicariously feel as if they too, are riding on the constantly-swinging pendulum of pathos. I don’t hesitate to call it the idyllic romance. The reason being that, one, it isn’t riddled with contrived or cheesy infestations just to evoke ‘something’ and, two, it’s complete in the sense that we get to trace the character’s developments as individuals first and then as complementary forces for one another, which does wonders for a good romance. It’s the transition between the first and the second that really accentuates the individual and then the individual-in-love. It is the former, when developed properly that the latter becomes significantly easier to birth. The infusion of romance almost feels magical because how subdued and subtle it is but when it hits, it hits with a spontaneous force that will leave its imprint in the minds and hearts of all those who experience it. As full of praise the aforesaid words are, the series has its set of flaws, as small as they may be. The production values are nothing to glamorize and given that it’s from the 70’s, nothing to hold against it either. A major caveat that may burden the enjoyment of some people are the glimpses of extreme shoujoesque moments that surface such as the excessive over-dramatization both from a situational and technical stance. This over-dramatization plays out like a double-edged sword and ends up having the reverse effect. There is also an inconsistency in quality and pacing. The show takes some significant dips and it singes off little parts of enjoyment, but this often goes hand-in-hand with the extreme dramatization. For example, the first half of the show exclusively deals with seemingly petty drama surrounding the aristocracy and royalty which can seem overbearing at times, especially the recycled ignorance and stupidity of certain characters, but none of it is in vain. Each and every character and their actions, effectively in the first part of the show, has purpose when conjoined with the entirety of the series. Regardless, all of this can be easily be dismissed because of what the show does offer. It’s not hard to see why Rose of Versailles is hailed as definer of its genre(s) and setting the bar not just in its niche, but within the medium. The Seine is coming to a standstill, shaded with ripples of red. The streets are ready to be lit with the fires of a Revolution while France swings betwixt the twilight of former glory and present ruin. And between the cracks of impending destruction rises a scarlet rose, embellished in decadence, but rooted in humanity.